Our mentors, consultants and speakers all have one thing in common…they are committed to helping you thrive in business and life. These trusted guides have the experience, skills and story that have stood the test of time and been proven time and time again. 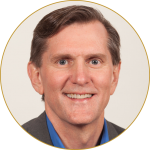 TIM OAKLEY is a serial entrepreneur who brings 30 years of experience as an operating CFO with over 1 billion in multiple exits. He also has a Masters Degree in Counseling & Psychology and is a Certified Health Coach through Duke Medicine. Tim has helped companies raise funding rounds, build teams, scale operations and balance work/family. Tim has been there and done that and he can help you or your company do the same. VANCE BROWN is the CEO of the National Cybersecurity Center. He also is Executive Chairman and Co-founder of Cherwell Software, rated in 2014 as one of the 101 fastest growing companies in North America. 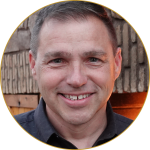 Formerly, Vance was President and CEO of GoldMine® Software, which at the time was rated as one of the top 100 software companies in the United States. Vance was named EY Entrepreneur Of The Year™ 2014 Award Winner in technology and in 2017 was named one of the “100 most intriguing entrepreneurs” by Goldman Sachs. 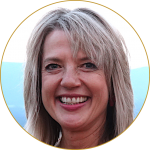 BETSY BROWN is Co-Founder of The Classical Academy, the largest Colorado charter school, where she specialized in developing character curriculum and mentorship programs. Betsy is a graduate of Wake Forest University and the University of North Carolina at Chapel Hill (M.Ed. in counseling) and has completed conflict resolution training from the Colorado Bar Association, Restorative Justice training from the RJ Council of Colorado, The Science of Happiness course through Berkley’s Greater Good Science center, Birkman assessment certification, Mindfulness Based Stress Reduction (MBSR) training, Myers-Briggs certification, StrengthsFinder, and the Enneagram. JOHN BOLIN is CEO of Bridgehouse.tv, a creative agency that works with leaders and companies to help them bring their content to life. 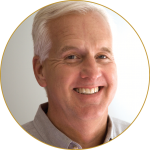 John is the author of 9 books and has shared the stage with Norman Schwarzkopf, Marcus Buckingham and John Maxwell, presenting keynotes for crowds from 500-10,000. John speaks regularly on the topics of maximizing life, story & creativity.